Which other music and entertainment magazine would have the audacity to place interviews with Tony Benn and George Galloway in the same week as S Club 8? It's the question Designer Magazine's Editor Alex McCann asks himself as he looks back at 6 years of running the Manchester based website. "Designer Magazine hasn't intentionally tried to be this eclectic, it's just what the team have been into over the years. The weeklies were always too straight down the middle indie, despite protestations they provided an alternative. When we set up the website we always said our coverage would be from S Club through to Slipknot, but that only tells half the tale. It's even more extreme than that when you look at whom we've covered over the past few years. It's unbelievable that after running the site for 6 years only the Observer Music Monthly covers this wide scope of music on a regular basis"
"There's nothing better than seeing that raw potential at such an early stage and then watching it grow. 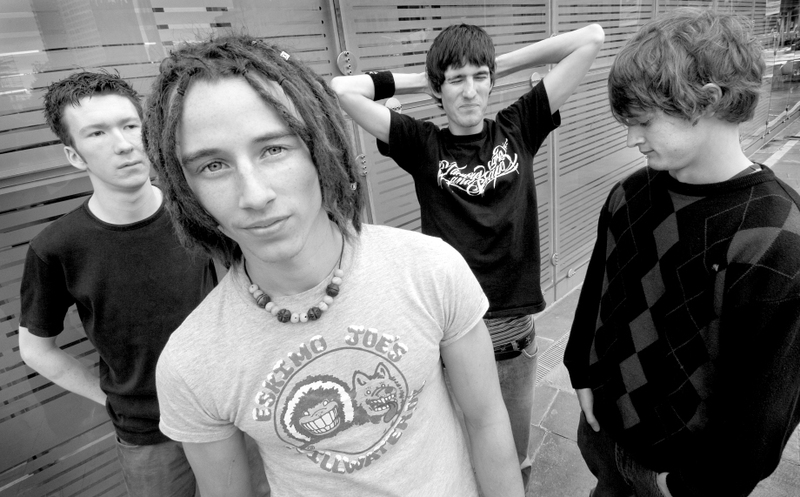 I remember when we saw The Darkness playing to about 40 people acting every inch the stadium band they grew into. Whether it's Scissor Sisters, Keane, The Killers or more recent success stories such as The Bravery and Rooster we've been there since day one"
"The Cardinals did their first ever interview with Designer Magazine about 4 years ago so it was only right we asked them to headline. They've been hidden away in the studio for the past few months recording their debut album with Ian Broudie (Lightning Seeds) and Youth, famous for producing The Verve's "Urban Hymns" album. Brigade feature Will Simpson, brother of Charlie Simpson of Busted and Fightstar fame, on vocals and remind us of classic indie bands such as Sonic Youth, Feeder and Placebo. It's a real coup to bring them to Manchester for their first date in Manchester city centre. The Pioneers and Azure Glow (formerly Kid Conspiracy) to us show two very different sides to Manchester, which complement the line-up perfectly. All in all we couldn't ask for a better line-up." And what's the most important thing about Designer Magazine over the past 6 years? "The respect we have from the people we work with each day. Designer Magazine was set up independent, we've never had financial backing from a major publishing house, and people respond well to that fact. Over the years we've had Huw Stephens write columns for us, Huw was recently named as one of John Peel's replacements. Our photographers are personally asked by bands such as Scissor Sisters to work with them on tour and the whole team are able to make a living freelancing. What more could you ask for? The Designer Magazine 6th Birthday Gig looks set to be the first of many gigs in collaboration with TCB:Live showcasing the up and coming talent from the Northwest. It seems that Manchester has forever been home to a scene; in one form or another, from the halcyon days of the Hacienda and Factory through the Roses and the Britpop frenzy of Oasis to the current day. Refreshing then, that The Cardinals are a band who, despite having a very strong sense of origin and loyalty to their home town, do not feel in anyway bogged down with the comparisons or tarred with the same brush that many Manchester acts experience. Though coming from the same place geographically, their music is an all-together different proposition from many of the acts currently gigging the cities well-worn venues. Rewind three years and we find four young guys starting a band fuelled by an irregularly wide variety of influences, the common aim? To write fantastically epic songs that come straight from the heart, without bucking to any trends or holding anything back. Instead of following the well worn path of getting out on the road as soon as possible and hauling themselves down to London every three weeks to perform like dancing bears for the A&R fraternity, The Cardinals chose their own path, preferring to concentrate on the development of their own songs and building a loyal fan base in their home town. 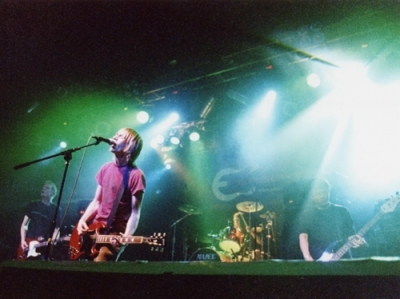 The effort and hard work paid off, in late 2004 the band signed with B-Unique Records. The past few months have seen the band putting down their well honed songs with producers Gavin Monaghan (The Smiths) and Steve Harris (U2); a working relationship that caters perfectly for the bands; strong sense of the epic and experimental, whilst never losing sight of their desire to pen catchy, broadly appealing tunes. Their debut release will hit the shelves in Summer 2005; which may seem a long while off, but in true Cardinals fashion, it will be more than worth the wait. Pioneers are a bunch of twenty-somethings, who are currently lighting up the music scene in and around Manchester. Formed in February 2001, Phil Ziedler (Vocals), Matt Brock (Guitars), Phil Bulleyment (Keys), Ryan McNulty (Bass) and Phil Styles (Drums) all met in Manchester with one intention, to start a band together. They stumbled across the name of the band one night, at a gig in 2002, when Oxford indies Goldrush decided to dedicate their debut release, 'Pioneers' to the Manchester newbies and the band was officially christened. 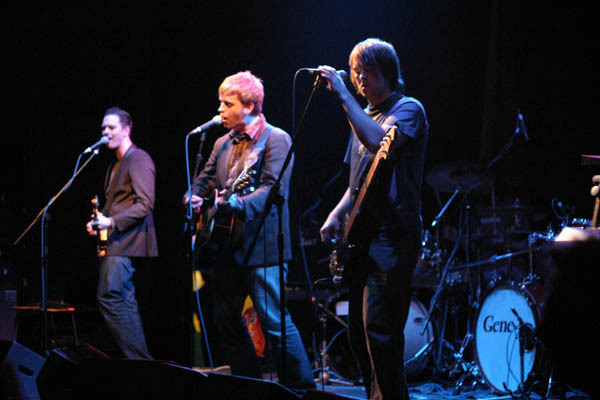 Citing a collective eclectic mix of influences which include, The Smiths, U2, Neil Young, DJ Shadow, Elbow and The Pixies, the band themselves describe their music as 'Indie Alternative with keyboards,' and although you can spot some of their influences at times within their songs, their overall sound is fresh and original. 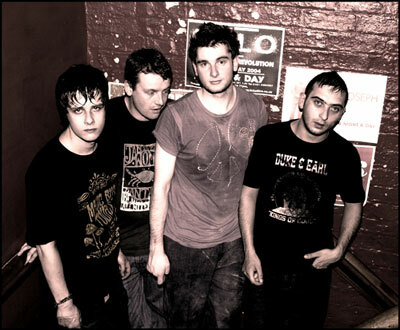 Formed in September '03, London based 4-piece Brigade have been touring and gigging non-stop in the last year, including shows with Aereogramme, Fightstar and Biffy Clyro. The band also contributed 2 tracks to a compilation entitled 'The Suffolk Explosion' which was released April 25th on Sandwich Leg Recordings." Azure Glow are a new Manchester band playing melodic guitar rock with their own personal twist. Their sound is the result of 12 months locked away in their own practise room writing new material, some of which is shown on their new self titled 4 track EP. "As a band we don't like to overstate the music we play with comparisons to other bands or massive descriptions, we like good strong songs and we'd rather people just came along and listened."